Jack Butala: Welcome to The Jack and Jill show. It’s here that we provide entertaining real estate investment advice sometimes. Jill DeWit: I’m Jill DeWit and we are broadcasting this week still from sunny Southern California. 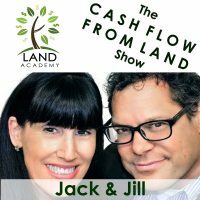 Jack Butala: Today, Jill and I talk about the 24 Month Millionaire. It’s our number one request. It’s the number one question I personally get. “Jack, you talk about the 24 Month Millionaire. What is it? What’s it all about?” Well this show I’ll answer all those questions. Jill DeWit: That’s not the number one question I get. Jack Butala: What’s the number one question you get? Jill DeWit: Are you guys married? No, no. Jack Butala: Shut up! You? Jack Butala: Yeah, I do remember that. Jill DeWit: It was kind of funny, I know. So anyway, silly. Jack Butala: Remember that children’s book, Are You My Mother? Are You My Mother? Jack Butala: That’s what men say to Jill. Can you be my wife? Are you my wife? Jill DeWit: Oh, no. No, no, no, no. Thank you. Jack Butala: Before we get into today’s topic, let’s take a question posted by one of our members on the jackjill.com online community. It’s free. Jill, if it’s okay with you I’m going to read this question and if you could answer it that’d be great because it’s by Jason. He’s the author of Deal to Death Threat Ratio. Jack Butala: He’s all very technical and numbers-driven. Jack Butala: Hi, everyone. First acquisition since signing up for Silver Membership and it looks like it’s going to be 120 acres at $250/acre. So $30,000 in an area where low end comps for similar acreage are $880 or like $100,000 plus. Jack Butala: And the parcel could be very easily subdivided into three 40 acre properties with low end comps for forties being $1,000/acre. Jack Butala: Long story short, this is me talking now not Jason, he’s going to make $100,000 on this deal. Jason is very, very vocal in our community. The guy’s got to have 160 I.Q. at least. The seller’s an 87-year-old man who must be on something amazing like probiotics because he still gets physical every year mining gold on gold claims in a few states away. Not on this property. And he told me if this deal goes well that he’ll sell me an additional 320 acres he owns in an even more desirable area. This is the kind of situation you want to find yourself in. Jill DeWit: Wow. This is awesome when these happen. Jack Butala: The parcel straddles the flat upper area and lush lower wetlands of a mildly sloped butte-style hill. That’s just poetic right there. Jack Butala: I can see it in my mind. Jack Butala: It’s got about 200 feet elevation difference, which is … Jill calls that a protective ridge. You can see it out of a western, you know? Like a movie. Jill DeWit: This guy can write. Thank you, Jason. Jack Butala: Nearby neighbors have some homesteads in the area so I can easily point to them as examples of people making it work. And it’s going to look sublime after I fly my cinematic drone across it at a sunrise. Jill DeWit: This is so good. Jack Butala: I’ve heard Jill ask this question over the years. She’s stopped the last two years. Jack Butala: Here’s his question for us. Do I need to pick up my jaw off the floor and get used to this or is this just beginner’s luck? I have an inexpressible level of gratitude for Jack and Jill and I’m holding you responsible for all the smiling I’ve been doing today. I love those six digit, $100,000 smiles. Jill DeWit: Wow. Can you believe that? I risked 64 cents. I’m going to pocket more than I make per year at my job. Jack Butala: With one deal. Jack Butala: And building a relationship with the seller to do it ten times again. Jill DeWit: Yeah, now you’re done. This is going to carry you for years. Jack Butala: We could make a million bucks with one relationship. Jill DeWit: Isn’t this amazing? Jack Butala: So his question is, Jill, and you used to ask me this, well, that’s it. Jill DeWit: I’ll never do a deal like that again. Jack Butala: I’ll never do a deal that’s that good again. Jill DeWit: That’s it. One-off. Jack Butala: Glad we got used to it. Jill DeWit: And then next thing you know, six months go by or even three months go by depending how much mail you’re sending, it happens again. Like, what the heck? So all I have to say is, Jason, if you don’t change a thing, this is your life now. No, I don’t think this is beginner’s luck. You’re doing it right. And if you … Don’t get complacent, obviously. Keep doing what you’re doing. Jack Butala: And do the deal. Follow through on it. Jill DeWit: Follow through with this guy, you know? And use TitleMind. Use our resources and stuff. Hopefully you won’t need to hire a staff. If you do, you’re just going to be … Basically the only staff that you might need is someone to help you count your money, you know? And keep track of your personal stuff. No, seriously. And what a great position is that to be on? Can you imagine having just all you’re doing is your part-time employee is following your deals that we’re doing for you kind of thing? Jack Butala: With the exception of two years, I can say my personal experience has been that I outdo myself year over year. So some years it’s more deals but most years, recently, it’s a lot less deals but way more money. Jill DeWit: I love these stories and I’m so glad that you shared this. And this reminds me of a woman in our group that now that’s her business. She found deals like you just had right here and she’s like, oh my gosh. I just found a guy that has so much. And that kept her busy for a good year and a half, not kidding. And now she transitioned to, you know, I’m just doing these really big deals. I’m only seeking those out. I do a couple a year. That’s it. That’s my life. And the rest of the time she’s raising her children. It’s awesome. Jill DeWit: Mm-hmm (affirmative). They have a great thing going. Man. Jack Butala: Great work. To answer your question directly, no. Jill DeWit: I thought I did. Jack Butala: This is not beginner’s luck and you did everything right. You went fishing and you caught a really big fish the first time. Is it going to happen every single deal? No way. Is it going to happen every single year? If you can continue to do this, for sure. Jill DeWit: Mm-hmm (affirmative). Don’t change a thing. They’re out there. This is the stuff, thank you, Jason, that people go, oh, come on. It’s like, Jason, think back to before you found us. I bet when you were learning about this you were like, oh, come on. This doesn’t really happen and guess what, Jason? Now you found one and you’re doing it. You’re like, okay. Yep. I’m in. Got it. Never mind. It’s true. Jack Butala: But seriously, if the numbers are like that and the property is what you described, make sure you get it done. And if you need help there’s people in our group that live for this stuff, us included. Jill DeWit: Yeah. And these companies … Good point, Jack. Thank you for saying that. All these companies like TitleMind … This is why we’re creating this stuff. To help you not miss out on these deals, get them done, shoot them to my team. We’ll close these things for you. And so, Jason, you now, probably pretty soon, you’re going to have how many deals backed up with this guy? My team, we will get it done. You’re not going to miss out on any of these. We will help you. Jack Butala: They close their deals. They can close yours. Jill DeWit: Mm-hmm (affirmative). And if I need to hire more staff I’ll hire more staff. Whatever it is we’ll get them done. Jill DeWit: And we appreciate, especially while we’re … All of these companies that we’ve created have been by the request of you all. Things that you need so I want your feedback. I want to know what we can do to make it better, faster, whatever it is. Bring it. We made this for you. Jack Butala: Just not cheaper. Jill DeWit: Silly. It already is. Jack Butala: It’s as cheap as it’s going to get. I’m here to sell ya. Jill DeWit: It is. I know. Yeah, it is. It’s true. Jack Butala: Today’s topic, 24 Month Millionaire. 24 Month Millionaire. What is it? What’s it all about? How can you benefit from it? This is the meat of the show. The 24 Month Millionaire came to me a lot of years ago. Long before we started Land Academy because we actually experienced it. You buy a property, you double your money. You buy another property with the money that you made on the former one and you double it. And you double it and you double it and double it. And then you give yourself a year to sell it all off. Well it turned into a book and that’s what this is all about. I’m not going to shamelessly sit here and promote my book but I’m doing this because I’m really tired of typing it out in each individual email to everybody. Jill DeWit: Just say, it’s coming. It’s coming. It’s coming. It’s coming. Jill DeWit: We do it to ourselves. Jack Butala: Yeah, we do it ourselves. So this book is as much about avoiding the traps of life like some of which I did not avoid, which is why I feel qualified to talk about them. Jill DeWit: Would you like to share one of those traps? Jack Butala: Well I think that you can get caught up in types of relationships, whether they’re with your children, your spouse, or family, or friends or all kinds of stuff that really, really sidetrack you from accomplishing what you want to accomplish, so that’s one of them. Jack Butala: You also get in relationships that really help you succeed like Jill and I. That’s part of the book. Jill DeWit: How lucky are we? Jack Butala: But the vast majority of the book, there’s a lot of stuff in the book, it’s a lot of helpful things. It’s a good read, too. There’s a lot of stories. I back it up with stories that I personally … Jill and I have … Some of them are Jill and I, some of them are before Jill. Jill DeWit: I think also the reasons that we … You know what? This is a good … Sorry to pause and jump in on your thing here but I’m having a moment. Jack Butala: Good. It breaks up my rant. Your moments break up my rants. Jill DeWit: There we go. That’s nice. There’s a show right there for ya. So anyway, but how lucky are we that we found each other and are doing this together because … Man, we so push each other in a positive way and motivate each other in a positive way and there’s things that you bring to me, ideas that most of the universe would say, oh, that’s crazy. It’s impossible. You can’t do that. You’re never going to do that. And I’m like, oh you got this. Jill DeWit: But it’s true and vice versa. Jack Butala: It’s great for us but it’s terrible that … I know. You’re right. Jack Butala: A lot of people are just afraid. Jill DeWit: They are and they can’t see out that far to see what it could be. Who knew? We still sit here scratching our heads going, wow. And I tell people … You know, it’s funny because this is one of the good things like I talk about our program. 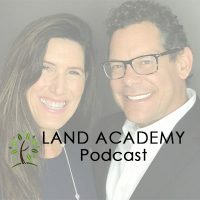 Okay, so when we first did this program, our buyers were asking us to do this whole Land Academy thing, right? We’re like, all right. Let’s put this together. People want to know. I remember you saying, “I don’t know. Should we just like, plan on selling five?” Because it was DVDs back then. We didn’t think this was going to … Who knew? And then look at us now today and it’s grown into all these other companies. I couldn’t envision. Jill DeWit: No way I could have foreseen how great this would be and how many people get it and are doing it and we’re helping and they’re helping other people. It’s awesome. It sounds like a cliché, the whole saying of changing lives but man, I never thought we would be doing it like this. And this is awesome. Jill DeWit: Thank you, everyone. Jack Butala: Yeah. Thank you. Jill DeWit: We love it. Jack Butala: So anyway, that’s exactly what the 24 … Well said, Jill. Jack Butala: That’s what the 24 Month Millionaire is. It’s kind of a hokey name, admittedly, but it’s true. It’s very, very [accomplishable 00:13:41] if you clear your mind of the crap that doesn’t matter in your life and just execute some stuff. It’s not hard. That’s really what the book is about. Jack Butala: Yeah. Yeah, I do. Jill DeWit: … and it’s even there for people to download and do it for themselves. Plug in whatever number you want. You have a spreadsheet, literally, that you could say, okay. Where do you want to be in 24 months? So you plug in the number at the end of 24 months and then you work it backwards. It’s not that crazy when you think, okay. I got to do a deal a month. Or a deal a week or a deal every two weeks, depending on what your number is. And my deals need to amount to X amount of profit and then I just keep rolling it in. That’s the whole thing, too, about who we are and the way we do things is, let’s not go crazy. Don’t go borrow $50,000 or anything silly like that. Jack Butala: No, no. Do not borrow a dollar. Jill DeWit: No, no. And you save up and you start with X and now you turn that into this. Jack Butala: Do not quit your job. Jack Butala: Do not borrow any money. Jill DeWit: Nope. Don’t take out a second on your house. Jill DeWit: Don’t hit the family up. Jack Butala: You need the right education up front. That’s the key to all of this. And you need to find out, what Jill said is correct, you need to know where you want to end and then deconstruct it backwards into a calendar so that you have to do this this week, this next week, add this the week after that and that’s what the book outlines to the letter. Jill DeWit: I am super impressed with the large number of people that I have spoken to and I have told them flat out, I appreciate your enthusiasm. This is not the right time for you. I know that. You don’t have the money and let’s not go crazy. Please spend six months, save up $5,000, $10,000, whatever dollars. You want to come into this and breathe and have money to do deals. Jack Butala: Like the caller … Like the writer yesterday, not the caller said. I’ve been doing this for seven months. I’ve turned a deal. Jill DeWit: Yep. Now I’m ready. Jack Butala: That’s how you do this. Jill DeWit: What’s so good to me, when I have people … Well, I tell them, they don’t believe me. I’m like, please wait six months. Save up some money, call me back. We’re not going anywhere. And you know what? They do. And I’m still here, by the way. We are here. So it’s okay if maybe you’re just now thinking about this, I don’t know. Take the time and do it right. We’re not going anywhere and we’ll help ya. Jack Butala: Well you’ve done it again. Wasted another 30 minutes listening to The Jack and Jill Show. Join us tomorrow where we discuss Jill’s advice corner. Jill DeWit: Oh. This should be fun. And we answer your question should you have one posted on our online community and you can find it on jackjill.com. Jill DeWit: That’s such a good topic. And I get those messages, too. People asking me because maybe they bugged you. Jack Butala: Well they bugged me and didn’t get the response they want so they asked Mom. Jill DeWit: Yeah, pretty much. And all I have to say is go ask Dad. I don’t know. I don’t know. Jack Butala: The book’s like half done and I read back through it and I’m like, man. This is valuable information. Jack Butala: Like, seriously. I wish somebody would have told me this stuff. Jack Butala: Or maybe they did and I just didn’t listen. Jill DeWit: No, nobody told us this stuff. Let’s be honest. Jack Butala: I don’t think so either, Jill. Jill DeWit: You and I have this discussion all the time about, I wish our parents would have just told us this, which they didn’t. Jack Butala: You know, it’s really probably 40 percent real estate, the book. How to do it from a real estate perspective and the other is just a mindset. You cannot … If you’re focused on doing stuff that a 24 to 28, 29-year-old guy does in this country, you’re distracting yourself. Jack Butala: All kinds of stuff. All of that, yeah. Jill DeWit: Shoes. A cool watch. Jack Butala: Spending money. All of it. Jill DeWit: Whatever it is. Jack Butala: Getting multiple master’s degrees are a distraction. Is it a normal guy thing? I don’t know. Jill DeWit: Okay. Do you guys, in general, are you trying to please someone or is it your own internal drive and you’re maybe going down the wrong path? Jack Butala: I’m not a psychologist or a psychiatrist but I think that men spend a tremendous amount of time trying to undo the stuff that happened during their childhood. In their twenties, specifically. Jack Butala: Then they find out that it doesn’t matter anyway and that you really have a lot more control over who you hang out with than you think you do. You know, who will have me kind of thing. And hopefully, you haven’t screwed your life up so bad and accumulated so much stuff that you have to undo that you can get out of it. Jack Butala: The people that I’ve talked to who are asking for this, most of the people who are asking for this book want to give it to their sons. They’re fathers that want their sons not to do what they did. Jill DeWit: Save them before. Jack Butala: Yeah, and it’s not just for guys. Jill DeWit: No. It’s not just for guys. We do it, too. That’s so interesting. Jack Butala: Tony Robbins has a saying. I’m not advocating him or, we have no affiliation. I’m not advocating him because a lot of his stuff is hokey but some of it’s valuable. He said, “The biggest culprits for stopping anyone for succeeding at what they’re trying to accomplish is emotion.” If you are emotionless … And I really believe that. Am I saying walk around like a stoic weirdo? No. I’m just saying stay focused is really what that means and don’t get sidetracked with a bunch of emotional crap. Like, my diamond is not big enough. That’s a good … I use that example in the book. Jill DeWit: Yeah, I hear you. Jack Butala: Your diamond is big enough, sweetheart. Jill DeWit: I tell ya, thank you. Jack Butala: Jill’s is big enough. I’ll tell you that. Jill DeWit: It’s awe … I’m happy. Hey, and if you’re happy and you want to share the fun please subscribe on iTunes or wherever you’re listening. Jack Butala: She shut me down. Jill DeWit: And while you’re at it, yes I did, rate us there, please. We are Jack and Jill.